If you are looking for an exciting and profitable freelance writing niche, then legal writing could be right for you. There are a number of different opportunities for freelance legal writers, and those openings are only increasing. The number of freelance legal writers is limited. That gives you lots of opportunities to connect with clients in need of your work, allowing you to generate a long-term working relationship. If you do not have a legal background, don’t let it stop you from attempting to develop a career as a freelance legal writer. The majority of legal freelance writers do not have a background or education in the legal field. They are instead conscientious researchers who are able to produce documents according to their clients’ specifications. Could freelance legal writing be the right niche for you? Here is what you need to know about breaking into this field. Freelance legal writing is a broad field that can encompass several different writing styles. Some freelance writers work on technical, legal documents. For instance, freelance brief writers write legal documents, including motions, memorandums, and briefs, based on the needs of their clients. Legal analysis writers summarize case law, analyze trends, and prepare reports for attorneys to use in case preparation. Legal correspondents do similar kinds of work, but geared towards the commercial market rather than other attorneys. Other legal writers do less technical work. They prepare blog posts and features that help promote the work of legal firms. These include articles for newspapers and magazines that cover court cases or other legal news, and corporate marketing materials. As you can see, there are a number of different avenues for freelance writers who want to pursue legal writing. Some of them may be a little easier to break into if you have a legal background, such as brief writing. Others can be approached in much the way you would any kind of freelance writing. Start with the kinds of assignments that you feel confident that you can tackle. For example, if preparing a legal brief sounds like it may be too challenging based on the amount of knowledge you have about legal issues, then start with something that is a little easier to research, such as copy for a law firm’s website. Starting with jobs that you feel good about completing and then continuing to progress to more challenging pieces as you build experience is a good way to break into the field and start building a client base. The legal industry has its own language. It is a good idea to spend some time learning the lingo either before you start applying for freelance writing jobs or as you are building up your portfolio of freelance writing samples. It is also a good idea to solicit reviews from clients that you can use as references or post on your website. Seeing that other people in the legal field have used your work will make potential clients more confident about hiring you. Similarly, be sure to keep your legal writing work for samples to update your portfolio regularly. If you want to work on legal writing exclusively, then it can be helpful to eventually have only legal writing samples in your portfolio. It will show clients that you are committed to the industry, so you’re more likely to be knowledgeable about law trends and other issues. There are a few things that freelance legal writers need to pay special attention to. These industry-specific demands will differ from other writing projects you may have worked on. If you are going to be working on memos, briefs, contracts, or other legal documents for a client, discretion and confidentiality are a must. Your client may require you to sign a confidentiality agreement before performing any work, but even if he or she doesn’t, not being treating legal documents with the highest level of discretion possible can destroy your chances of working in the field. This also includes the way you handle documents provided to you by the client. For instance, you can’t leave them open on a shared computer. In addition, you may have to be extremely careful about the words that you choose. This is especially true if you are creating ad copy or content marketing services for law firms. There are strict rules about the titles that can be used. You must also avoid using terms like “best” or “top” when referring to attorneys and law firms. You also cannot offer legal advice in writing and may need to include a disclaimer on the pieces you write. It’s important to follow these rules explicitly. Failing to do so could leave your client vulnerable to fines and other repercussions, which will further compromise your chances of developing other clients. Legal freelance writing jobs aren’t as plentiful as other kinds of writing work. That’s a good thing for people in the field. It helps to make a narrower list of clients and ensures that the compensation is good. 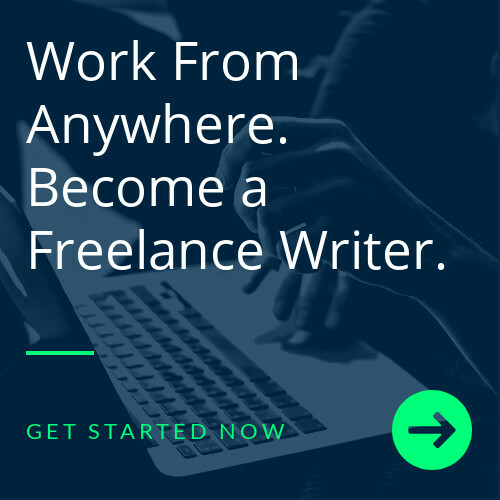 The benefit of being a member of Writers Work is that you don’t have to spend hours digging through work that isn’t suited to your needs to find the few legal writing opportunities and instead can use our Job Finder to find legal writing jobs from across the web. You can also take advantage of the Writers Marketplace to create a profile to advertise your services so that clients can find you directly when they need a legal writer. Join our writers’ community today and start building your legal freelance writing career!